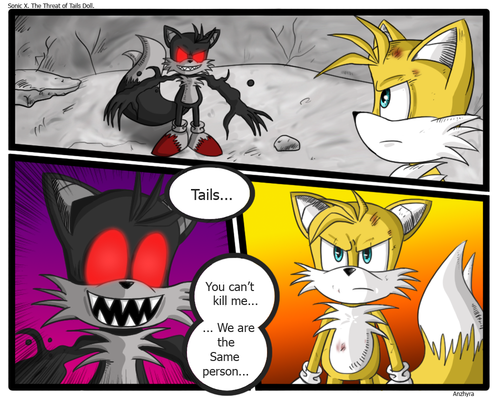 tails vs dark tails. 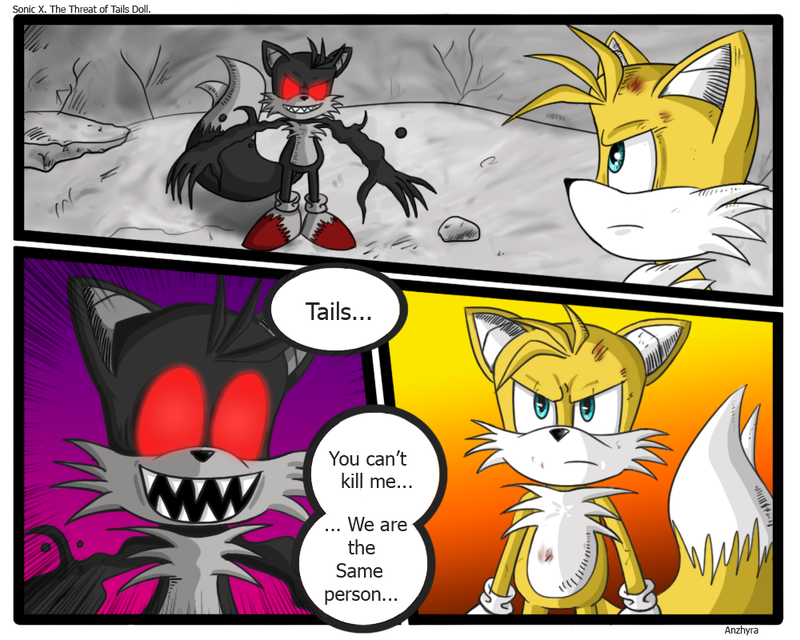 win: ..... HD Wallpaper and background images in the Picks club tagged: sonic battle. This Picks photo contains anime, comic, manga, cartoon, comic buch, karikatur, and comics. There might also be buntglasfenster, glasfenster, and glasmalerei-fenster.